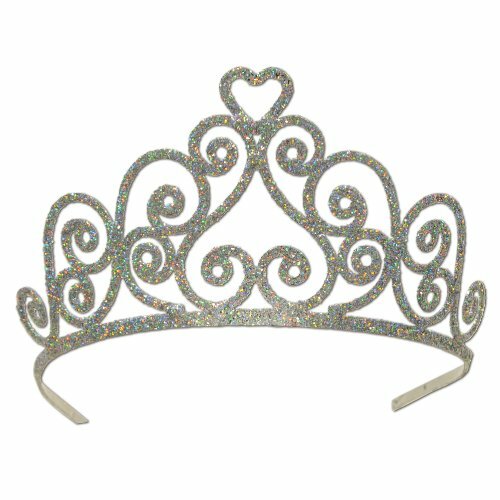 Beistle 60641-S Glittered Metal Tiara . This silver tiara incorporates a heart design with it's shimmering beauty. Have all the ladies wearing these at your Mardi Gras event! They are one size fits most and have two attachable combs included.